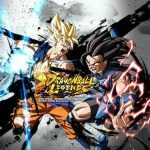 Dragon Ball Legends has only been out on Android and iOS for a short while, and players are already taking things to the next level. This exciting card battle RPG features characters from one of the most popular anime series in the world. If you are a little late to the party, the game follows the story of Shallot, a new Dragon Ball character whose memories were lost after hibernation. Of course, Goku and the gang are here to help him, and he helps them back along the way. In order to play the game, you will need to assemble a team filled with the strongest possible characters. Each of these characters have their own strengths, weaknesses, skills, and abilities. 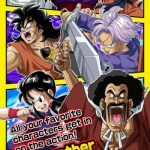 Earlier, we have published a Dragon Ball Legends beginner’s guide to help you learn the basics of the game. Entering battles is only the beginning of your journey, though. 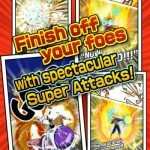 There is a tough road ahead of you, and you will need the help of our advanced Dragon Ball Legends strategy guide if you want to succeed! Once you have your main team assembled, it is only a matter of strengthening them. There are several ways for you to beef up your characters in the game. Your first task is to level them up by gaining experience. You can get experience by playing Story or Event Story stages. You can keep repeating the same stages over and over until you use up all your energy. When your character is fully leveled up, the next step is to raise his star rating through Limit Breaks. You can get Z Power through Summons and Story rewards. These will greatly increase your character’s power. A character can go through Limit Break multiple times until he reaches 7 stars. Since you don’t have unlimited resources, make sure you only do this for characters that you plan to use. Another way for you to push your character’s power further is to unlock new Boost Panels on the Soul Boost board. Doing so will help you gain minor improvements to your character’s stats such as Health, Strike Attacks, Blast Defence, and so on. They may not seem like much at first, but if you are diligent enough, they will eventually pile up. If you want to unlock new Boost Panels, you will need a lot of Zeni as well as Souls. Complete Story chapters and Missions in order to obtain more Souls. Alternatively, you can drop by the Exchange Shop to trade Rare Medals for more Souls. Another benefit of Soul Boost comes up only when you have unlocked a specific number of Boost Panels. Once you reach this stage, you will be able to activate a Boost Core. This is the Class Up option you see on the Soul Boost board. Activating a Boost Core increases your character’s maximum level while adding better Boost Panels in the process. The final step to maximizing your character’s potential is through equipment. You would naturally equip your characters with the best possible gear you can find, but did you know you can do more? You can level up your equipment by spending more Souls and Zeni. Unlocking Boost Cores will also sometimes open up additional Equipment slots, allowing you to slap on even more gear on your character. As with most games from the same genre, this game game has an element system that you can take advantage of in order to gain the upper hand in battle. There are five main elements plus two wildcards. The five elements are Red, Yellow, Purple, Green, and Blue. The wildcards are Light and Dark. Maintaining a good balance of these elements in your team will help ensure that you will be prepared for any enemy team composition. Keep in mind the strengths and weaknesses of each element. Red is strong against Yellow. Yellow is strong against Purple. Purple is strong against Green. Green is strong against Blue. Blue is strong against Red. Dark is strong against all five main elements but is weak against Light. As of this writing, Shallot is the only character in the game who possesses a special element. Perhaps one of the most exciting feature of this game, PvP can be a lot of fun, especially if you are winning. Since the game is relatively new, matchmaking can be a little frustrating. The game still has a limited number of players, so you will often find yourself matched up against players who are completely out of your league. Expect to get thrashed a few times before you finally face off with an opponent that can realistically be beaten. This part of the guide is for those moments when you actually have a chance to win. If you follow the anime, you will realize that more often than not, our favorite heroes spend their time dodging. You would be wise to do the same. Instead of diving in head-first into battle, wait for your opponent to make the first move. An exclamation mark will appear to indicate that an attack is about to hit you. When this happens, quickly swipe to the left or right in order to teleport to the side of your opponent, allowing you to unleash your own attack. Keep in mind that this teleport dodge called Vanishing Step has its own meter, and you will not be able to dodge if the meter is empty. Another gauge you should keep an eye on is your Ki Gauge. This allows you to use Arts Cards that deal great damage on your opponents. While it does refill over time, you can fill it up faster by tapping and holding on the screen. Make sure you only charge up your Ki when your opponent is stunned because it will leave you vulnerable. The best time to use up your Ki attacks is when your opponent’s health is low enough to be taken out by a full Ki combo. Otherwise, you will end up with an empty Ki Gauge and hardly anything to protect yourself with. While we are on the topic of keeping an eye on things, make sure you pay attention to your character’s health. Remember that you can always switch out to a different character when the current one is running low on health. Doing so will allow you to keep the battle going while keeping all your team members alive. This is important for when you finally have all seven Dragon Balls. Hold on to your Rising Rush move. This move can be activated once you have all seven Dragon Balls. Upon activating this move, all your surviving team members will perform an all-out attack on your current opponent. This deals massive damage that practically knocks out your current target in a single move. Make sure you only use it on an opponent with a full health bar in order to maximize the use of the damage it offers. The only exception to this is when your opponent only has one hero left and you want to end things with a bang. One of your primary goals in the game is to fill up your lineup with Extreme and Sparking characters. This may seem like a dream since the only way to unlock more heroes is through a gacha system. The good news is that you can actually spend your Chrono Crystals strategically to help increase the odds of getting that character you have always wanted. To accomplish this, you must first understand how summons work in this game. When you enter the Summon menu, you will see three tabs. The first one is the Normal tab where you have a random chance to acquire any of the characters in the game. The second tab is for Event summons, while the last one is for Featured summons. Event and Featured summons give you the chance to draw specific characters. You can check this out by tapping on the Featured Characters button for each summon. The next step is to tap on the Z Power List to see how many Z Powers you can get, and what the odds are for acquiring Z Power for specific characters. Your job is to check the list for the ones you are trying to acquire. This is the important part because Z Power works the same way as character shards do in other games. Collect enough of these and you will be able to summon the specific character you want. The strategy, then, is to hold on to your Chrono Crystals until that Z Power List includes the characters you want to achieve. There is still some luck involved, but it will at least be a little targeted. It takes a lot of patience to wait for the characters you want to appear in the rotation, but it is better than throwing away your hard-earned crystals on characters you have no plans on using. Winning all your battles is a lot easier when you know what to do. 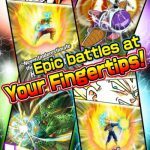 Just remember everything you learned from our Dragon Ball Legends strategy guide and you will be a top player in no time!